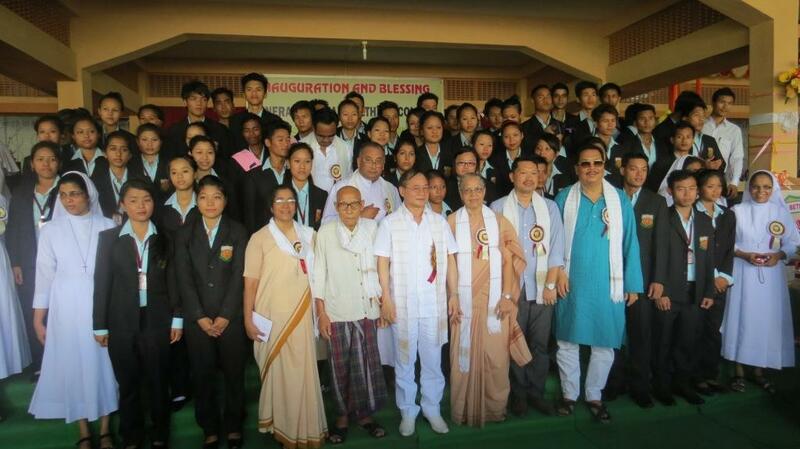 The First Catholic College in the Diocese of Miao was inaugurated by the Chief Minister of Arunachal Pradesh, Hon’ble Nabam Tuki and blessed by Bishop George Pallipparambil on August 2, 2014 at Manmow in Namsai District of Arunachal Pradesh in the august presence of various esteemed dignitaries and distinguished guests from across the state. Mr. Manpo, Hon’ble Ex MLA from Namsai, being a great visionary donated a plot of land to Bishop George to build a college. Bishop then invited the Bethany Sisters who courageously accepted the challenge to open the first catholic college in the Diocese of Miao. 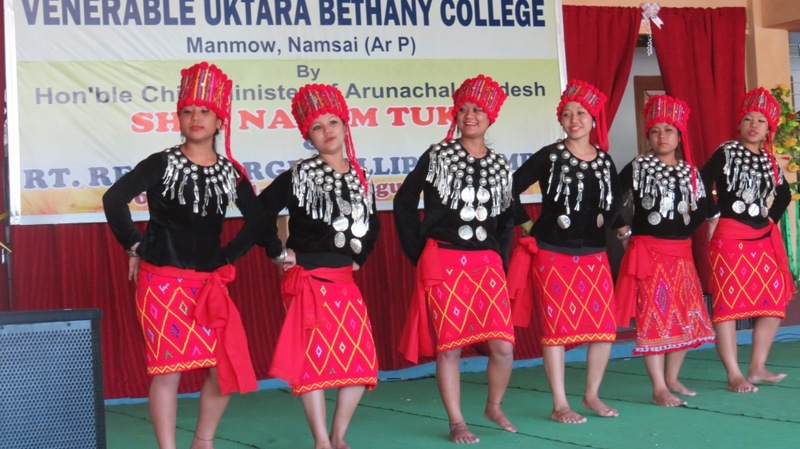 Speaking on the occasion, Hon’ble Chief Minister of Arunachal Pradesh, Mr. Nabam Tuki, said, “The literacy rate in the state is very dismal and much below the overall average in India. 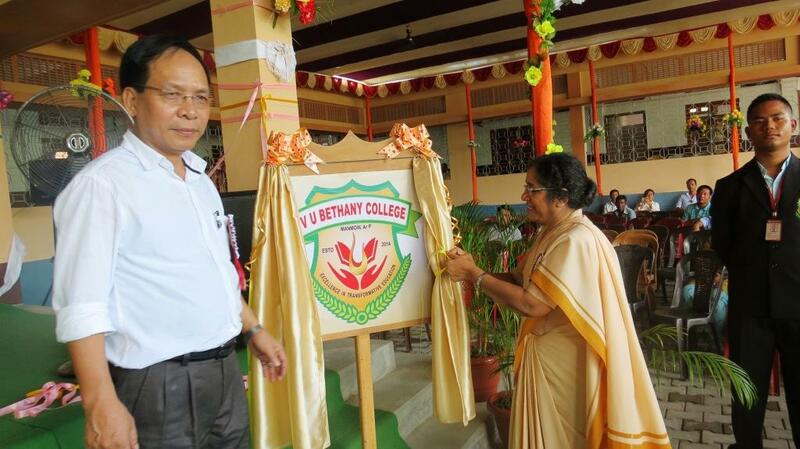 College such this will certainly play a big role in the improvement of literacy rate in this region.” He also promised every help for the setting up of infrastructure in the three colleges that exist in and around Namsai District. Hon’ble Shri Chowna Mein, the Minister for Agriculture, Horticulture and Animal Husbandry & Dairy Development, Government of Arunachal Pradesh was all praise for the the Fathers and Sisters working for the people in this region especially in the field of education. “I am also a student of a Don Bosco institute so are my Sisters and my nieces who are still in studying in a Catholic School in Dibrugarh. This is an example of how the missionary-run schools shape of the future of its pupils.” He also appreciated the role of the Fathers and Sisters for their contribution to the progress and development of the people in this region. The students who joined the college 10 days before mesmerized all the participants with a wide variety of cultural items. Happiness was written all over their face for gaining the distinction being the first students of this new college, which “will shape all our future”. Bishop George, who has spent more than 30 years in this region working for the progress and growth of the people here, thanked Mr. Monpo for donating the land to make this college a reality in this area. He also stressed, “This College is here for the people in this region. Have no fear this college will cater to educational needs for the people and it will shape the future of our society. It is not for us who live today but for our younger generation who will lead our society to greater heights in the coming days.” He also congratulated the students and the Sisters for the beautiful cultural programmes and wished them well. The esteemed presence of Honble Sri. Shri Kamlung Mossang, Minister for Food & Civil Supplies, Geology & Mines and Water Resources Department, Government of Arunachal Pradesh, Hon’ble Namsai MLA Sri Zingnu Namchoom, and Hon’ble Honchun Ngandam the MLA from Pongachao – Wakka Circle made the event more solemn and grand. “We are indeed glad to see our CM with us today on the event of this collge inauguration. It shows his concern for the people all over the state and the keen interest he takes in the educational growth of the people in our region,” said Mr. Humansu Tamblu, a first year student of Arts beaming with joy. “I count myself luck to be studying in this college. 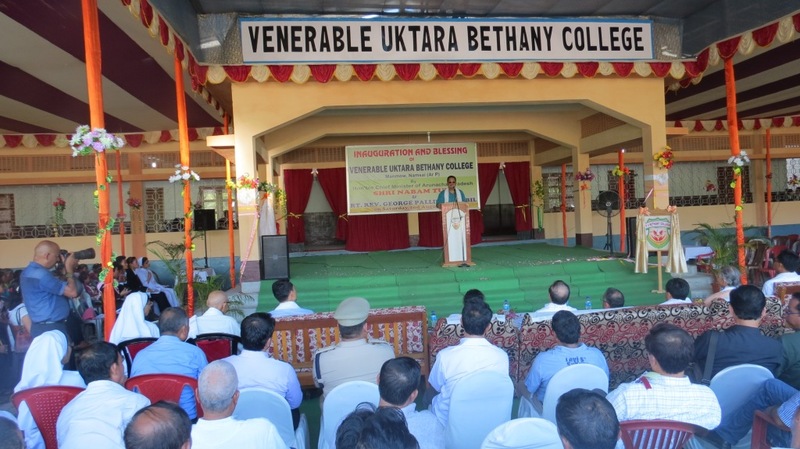 Our batch will go down as the First Batch of this College in history,” said another. “With this college within our own region we do not have to move to another city for higher education and to live in hostile environment,” said Miss Tojam Khelim, a first year student of Commerce in the new college from Changlang District.